I love the fact that I live in central London, because as soon as I step out my front door it's not long before I'm amongst the hustle and bustle of it all, and spoilt for choice for what to do with my day, with great transports connections to get me to where I need to be. The only downside to all that is the ever growing pollution problem we face, which on the whole if I'm honest I don't really think about day to day .........that is until the warmer months roll round and sometimes you can actually see it!. A cloud of smog that sits above the city cause by traffic fumes, construction sites and other pollutants, which can leave you suffering from a dry throat, tickley cough, chest irritation and dry sore eyes and for some it can actually be a daily occurrence and a lot worse. You get so used to the poor air quality, that you don't realise how poor it is until you take yourself off out to the countryside or down by the seaside where you can tell the air is a lot cleaner. While campaigners continue to put pressure on the government to work on creating new policies to reduce the emissions to control the level of pollution,........ more and more products to help combat this serious issue are coming onto the market. 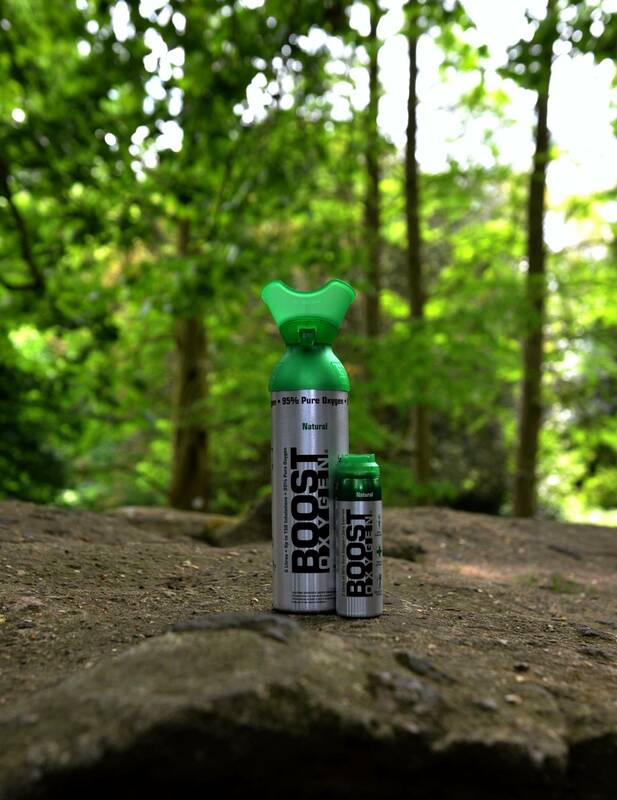 So this year I'm quite relieved to have discovered boost oxygen, as this time when the horrible muggy weather arrives, leaving me feeling like I can't breathe I can use one of boost oxygen's portable cans of 95% pure oxygen to help off set some of the symptoms, as when the air quality is at its worst you get more fatigue and cant think straight. When the toxic air breaches the legal limits and pollution warnings are displayed at bus stops, tube stations and road sides, for some of us its not an option to retreat and go home, as we need to carry on with our day, but when your oxygen levels go down everything becomes a bit more of a struggle, poor concentration and low energy levels so a few blasts of refreshing oxygen on a hot muggy day will definitely help, increase any depleted oxygen levels and reduce some of the amount of allergen reactions, helping me stay at my best, so to carry on with my day. I've already been using the boost oxygen beauty, as part of my beauty routine to ward of the effects of the pollution on my skin, as all the microscopic specks of pollutants in the air end up sitting on our skin and getting into the deeper layers through our pores causing the skin to become inflamed and dehydrated, which breaks downs the collagen, which accelerates the ageing process., so inhaling the oxygen works to stimulate the bodies own natural healing process to reduce inflammation and increase cell renewal as well.